The Mateng ATV flail mowers are ideal for tougher tasks. 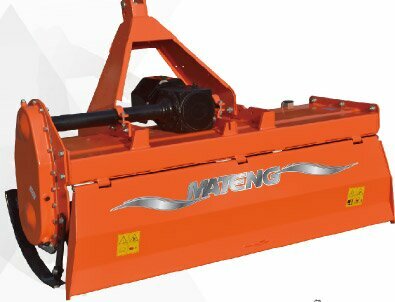 Used behind an ATV, They have the ability to cut grass or other vegetation with low ground pressure, preventing wheel ruts in soft ground and minimizing damage through gateways etc. Adjustable rear roller with mud scraper. Cat. I or II three-point hitch. Forged hammers or Y knives. Fixed rotary tiller for tractors between 20-35 HP, ideal to prepare seedbeds in small fields. – adjustable side skids for depth control. Fixed rotary tiller for tractors between 30-50 HP. Suited for the preparation of seedbeds, also for use in vineyards and orchards. Fixed rotary tiller for tractors between 30-60 HP. Suited to prepare seedbeds, also for use in vineyards and orchards. Standard equipment: 3 Point linkage light duty rotary tiller. Graphite casting iron gearbox, chain transmission, easy change parts. Suited for 12-28 HP tractors. Product description: This series rotary tiller is used adjustable rear flap for safety as well as providing a smooth finish, 4 strong blades per flange for a more thorough tilling of the top soil, height adjustable skids for depth control, extra strong design for long life and reliability performance. Standard equipment: 3 Point linkage light duty rotary tiller. Single speed cast iron gearbox. Gear driven and special gearbox balance shaft. Suited for 45-80 HP tractors. Product description: This series heavy duty rotary tiller is used adjustable rear flap for safety as well as providing a smooth finish, 6 strong blades per flange for a more thorough tilling of top soil, height adjustable skids for depth control, extra strong design for long life and reliability performance. 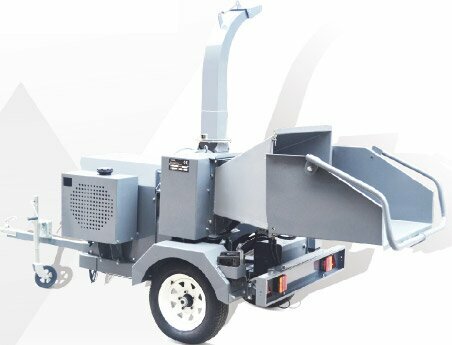 Product description: This series of products are widely used for the daily snow removing works in places such as airports, parking lots, squares, highways, expressways, and bridges etc. The U-shaped snow blade can quickly push the snow to tow sides to leave enough space for the vehicle pass the clean road. 31 B&S engine provide strong power to help maximize the performance. 7 gallons fuel tank supports long-time work. Durable fly wheel ensures the operation is more stable, more powerful. Hydraulic control roller makes the feed adjust more easily. Quick hitch draw bar, agricultural field tires, 360-degree rotating discharge chute. 8″ x 8″ in-feed opening, max dia of wood chips up to 6″, PTO shaft included. No-stress control system to realize the real-time monitor of the current flywheel speed, control the solenoid valve ( usually installed on the bottom of the hopper assembly) in order to control the running and stop of the feeding roller. It can realize the smooth chipping. Standard Equipment: boom, dipper, sub frame-stabilizer, 3 main components: boom, dipper, stick, and bucket; similar with the upper arm, fore arm, and hand. These components are connected by three joint comparable to your wrist, elbow, and shoulder. The backhoe can dig all sorts of holes but is especially suited for digging ditches. To use the backhoe the operator has to park the tractor and turn the seat around.